Why Should I Choose Adoption Instead of Abortion? Did you know that one in five couples today experiences infertility? The number of infertile couples is higher than ever before, which has resulted in numerous families who are educating themselves about adoption and who have open hearts about growing their family that way. There are also many families who have always felt drawn to adoption and strongly feel it is the way they’re meant to be parents. There are families with no children, families with secondary infertility, families who have adopted before, transracial families, families who live in other countries, military families, younger and older families, and everything else you can imagine. If you choose adoption for your child, there are parents looking to adopt who will meet your requirements; you just have to find them. Every child conceived deserves a shot. Life is hard and beautiful and unfair and awe-inspiring. There are moments when you feel so full of love that you feel like your heart is going to burst. There are moments where you experience something new for the very first time, and you feel so small in the world. There’s the first time you have a crush, your first school dance, the first time you see a shooting star, the first time someone other than your parents says “I love you” and means it. There are all these firsts your child deserves to have, whether it’s with you or with another family. Abortion wipes all of that away, but the truth is, if you can make the sacrifice to carry and deliver your child, your child can experience a life full of firsts and all the beauty and trials that come along with it. Your baby deserves a shot, and there are many good parents looking to adopt a child who would be forever grateful for your sacrifice to give that child a life they can nurture. Only you know if adoption is truly the right decision for you. But should you decide to move forward with an adoption plan, finding a family who makes you feel comfortable in every way is essential. You should consider what kind of adoption you want—closed, semi-open, or open—and find a family whose wants, needs, and beliefs align with yours. Research what each of these types of adoptions looks like, and then challenge yourself by thinking about what’s best for your child. Many adoptees who were raised in the very first open adoptions are now becoming adults, and they have a lot to say about how open adoption shaped them into the people they are today. 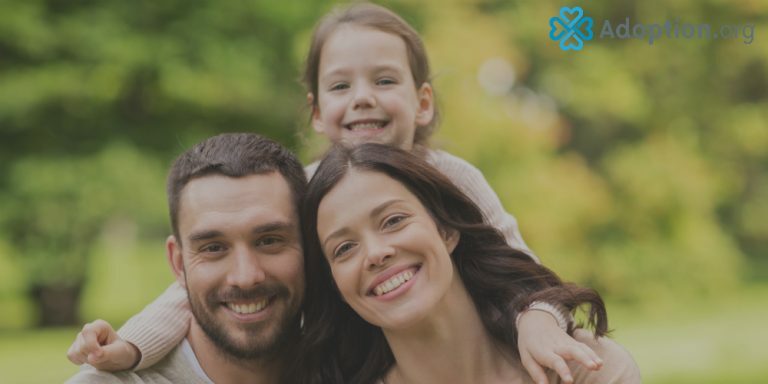 Allowing a child to have a connection to his or her roots can be validating for an adoptee, and just because you place your child for adoption doesn’t mean you aren’t still a very important part of his or her life. Never underestimate the importance you can still have in your child’s life, and trust that there is a family out there who believes that too. If you’re at a crossroads where you are considering abortion or adoption for your child, consider one more thing: When you choose abortion, you end a life, but when you choose adoption, you create a family. Your baby deserves the very best you can give, and if parenting is not an option, consider finding a family who desperately wants to grow but can’t without you. Never think that your baby will hate you if you choose adoption and that choosing abortion would be the easier answer. With adoption, you can carefully choose a family who will link arms with you to raise a child who grows with a healthy respect for the sacrifices you made and who will grow to thank you for the chance to experience all this world has to offer. If you are dealing with an unexpected pregnancy, consider adoption as an alternative to abortion. You can also find guidance and counsel throughout your crisis at Adoption.com. Visit adoption.com/forums to find adoption message boards and adoption forums so you can read about other women’s experiences and form an online support system.